See the edits below the text for two more possible causes I’ve encountered with this machine, both causing the same error. Our Ikea Välgjord dishwasher stopped working last night. When switched on, it would take a minute or so, then begin beeping (three times, then about two seconds of silence). When opened, the display showed error code 50, and the bottom LED blinked. The manual shows error codes 10, 20 and 30 but no 50. I found the needed information on this (Dutch) site. Error 50 might mean that the pump is somehow obstructed, possbly by a shard of a plate or (in my case) a large piece of [insert some unrecognizable piece of food here]. Get as much of the water as possible out. Remove the filter from the bottom inside the dishwasher, then drain the water. Shopvac if possible, otherwise enjoy yourself with the sponge. Remove the wooden front panel: open the dishwasher. On each side of the door you’ll find a small grey plastic cover plate. Pop these off. Open the door about halfway until you can see a bolt through one of the holes. This is a torx 20. Remove these. The bottom of the front panel will come loose, so while you do this, hold the bottom of the panel up. Then slide it upwards to clear it from the dishwasher door. Try not to look at all the grime and dirt. Under the door, on the bottom front of the dishwasher, remove the four philips screws. Take off the metal cover. At the right side you’ll see the pump, rather small. It has two blue wires coming out of a connector on the side. Remember the orientation of the pump. The pump can be removed by rotating it and pulling it backwards towards you. If there’s still water in the dishwasher (you probably cannot get everything out), water will wash out into the plastic drainpan. The float at the back will detect a water leak and the pump impeller will begin to rotate even if the dishwasher is switched off. The pump that you’re holding in your hand. In the tiny space underneath the dishwasher. So, you really might want to unplug the dishwasher from the start. Fill the dishwasher filter hole with water (if you start the dishwasher without water, it will display the same error after a little while). Two weeks later, the washing machine gave the same error. The second technician (another one) found that one of the hose clamps on reservoir on the side of the machine was badly placed and replaced it. Likely, the machine would leak some water, go into alarm mode, get unplugged, would dry after a couple of hours and work again for a short while. We’ve had no more issues since then, which is about two months ago. I recently acquired a second-hand Hytera PD365 DMR radio. Hours of trying to program the radio learned me that this is a bit of an odd one out in the Hytera range of radios. I spent *a lot* of time trying to connect it to my computer to read out the memory and program it. I found a lot of information spread out on the internet, but lots of it is not applicable to the PD365. You’ll find remarks such as “There’s a different driver for the PD365.” but which one to use isn’t marked. There might be a page dedicated to the PD365, but I haven’t found it. I’m not claiming all of this is 100% correct and this is certainly not a definite “user guide to the Hytera PD365”, but there are a few things I learned that might save someone a bit (lot) of time. Getting the programming cable to work: I lost a lot of time trying to connect to the PD365. Since I found different drivers for the programming cable (without any explanation on what’s the difference and when to use which), and even batch files to remove previous versions of drivers, I figured there was a driver issue on my computer. Trying on another one had the same result. And another one. I kept trying to get Windows 10 to use the drivers that I found mentioned on different websites instead of using generic Prolific drivers. However, the CPS didn’t indicate any available port to connect to. After all, this wasn’t necessary. After installing and using the v2 CPS program, I could select the serial port that was assigned to the programming cable using the Prolific drivers (currently using version 3.8.25.0). Reading the configuration from the hand-held instantly worked after connecting the hand-held to the programming cable and using the correct CPS. After making changes and trying to write to the hand-held, I had some more issues. The hand-held would display an error message, and the software would display a message box. After clicking OK in the message box, the software would force close without any further messages. Upgrading the FW: there is a v1.06.01.001 FW version available. To use it, install the software package. 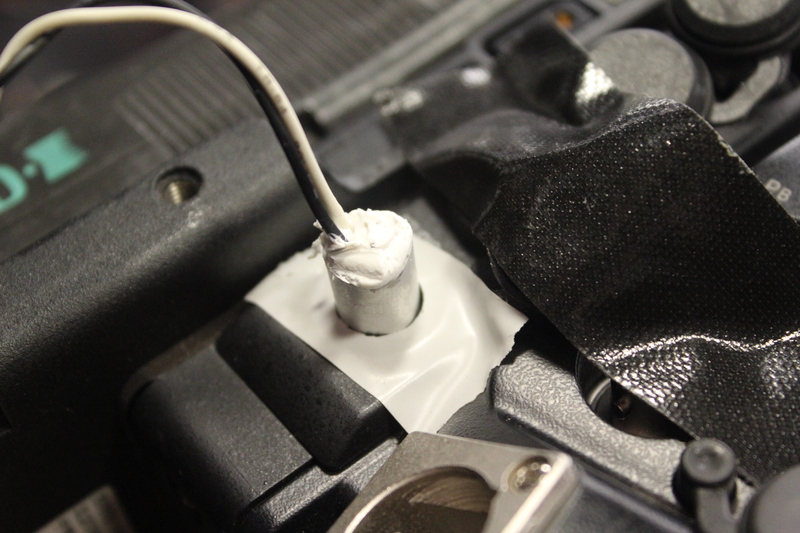 Then disconnect the radio from the USB cable and remove the battery. Press the button under the PTT button (the round one), and place the battery. The red LED will blink. After about 3-5 seconds the LED will light solid. Release the button. The display on the HT is blank. Connect the USB cable. Start the software, select the correct COM port and click upgrade. The process takes a couple of minutes during which the software informs you multiple times that different phases of the upgrade are finished. Just wait. “Updating the firmware chip, please wait…” takes a long time and it might seem like something is wrong. However, the first time I tried this, the process ended with an error message after upgrading the FW chip (“Update the firmware chip failed”, the progress bar was at 72% at that time). However, after powering the radio on, the new fw seemed to be installed. Baseband version is now at V2.01.03P8_A. I tried the process again with the same result. After upgrading I could write from the CPS software to the radio. The radio restarts after successful programming. I’ve managed to program the local analogue repeater so that I can use it. I have not yet managed to get the DMR to work, probably most likely because I haven’t spent enough time learning about the DMR network and how it should be configured. Still, I expect the radio to work and that I will manage to get it configured properly. 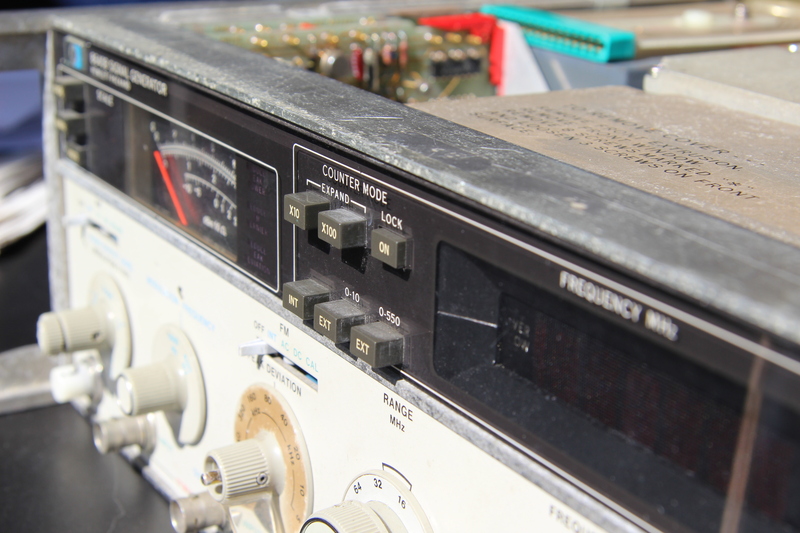 I recently acquired a fairly well preserved HP 8711A network analyser. As sold, this is an economy model, offering only scalar measurements (although vector information can be acquired through the HP-IB bus). What makes this unit interesting, is that the hardware is the same as the never released 8712A, which has vector capabilities. Some changes in the bootrom allow the user to “convert” the unit, making it behave like a full fledged VNA. Credits for this rom modifcation go to Massimo Porzio (IK1IZA). As far as I know, he is the one who took the time to figure this out. I also found a lot of information on the site of Michal Lewczuk (SP2XDM). Before doing anything, a backup of the correction constants was made to disk. When looking from a normal viewing angle with the unit placed on the desk, the alignment of the options on the right of the screen seems “off” when compared to the location of soft buttons next to them. The screen was rather dim. Sizing of the display compared to the cutout in the front panel could be enlarged. After adjusting the height/width and brightness, the screen looked much better. According to a ECN from HP, units with serials between A00000 and 3325A00941 need a 3W, 680Ω resistor between pin 9 and 16 on J5 in the power supply. 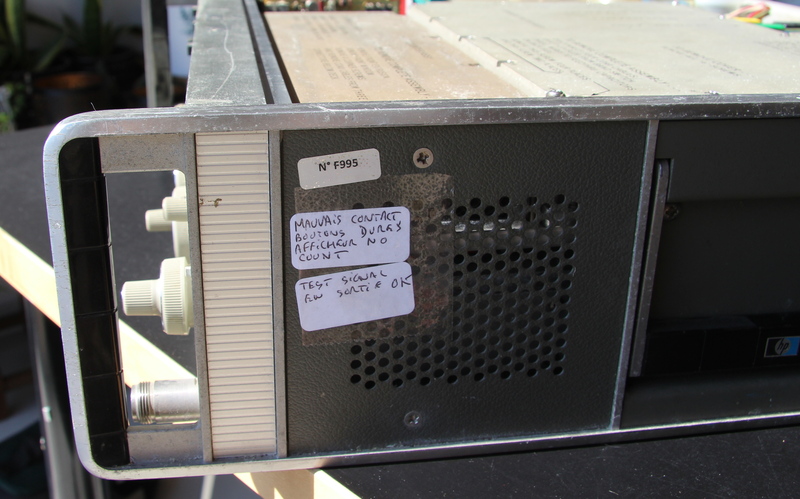 The A models of this network analyser had an issue where noise would get into the audio circuit, causing a high pitched, squeeling noise. When used in a silent environment this was really bothersome, so I first tried replacing the speaker by a version with a slightly different resonant frequency. 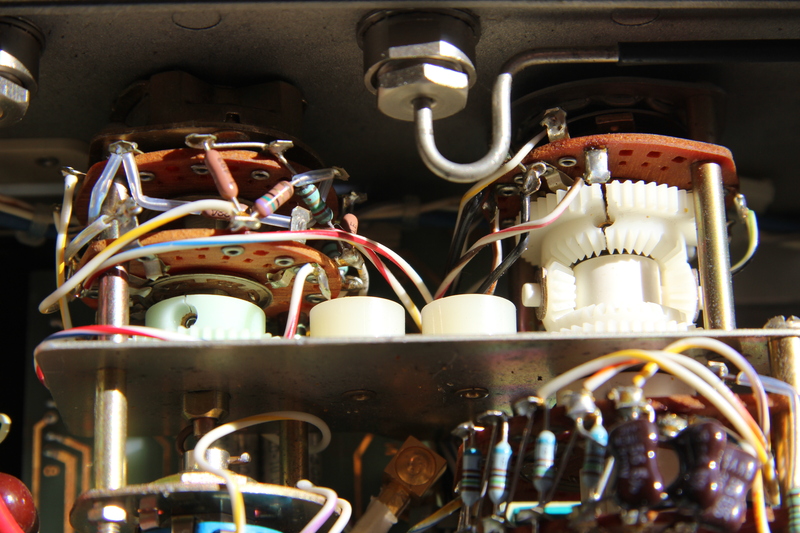 A lot of time was spend cleaning and restoring the unit, as to give it as much of its original appearance as possible. 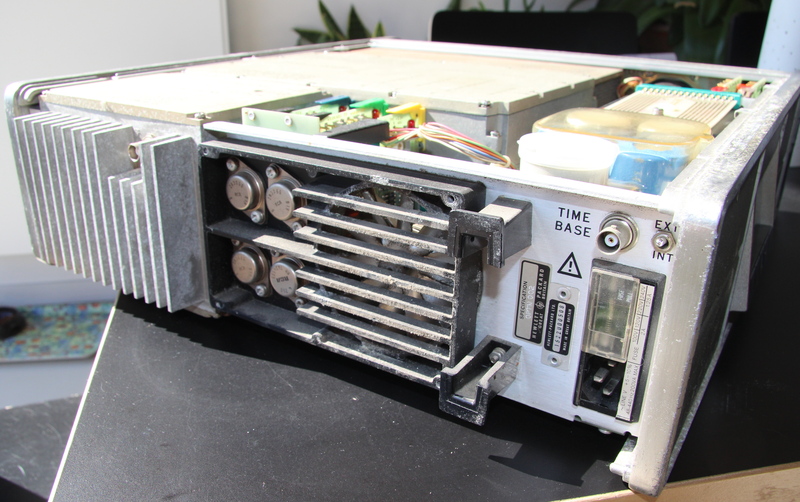 The inside of the case was cleaned, connectors on the backplane (which are notorious for causing problems with this model) were cleaned using a combination of MEK, IPA, soda, warm water, patience and lots of love. 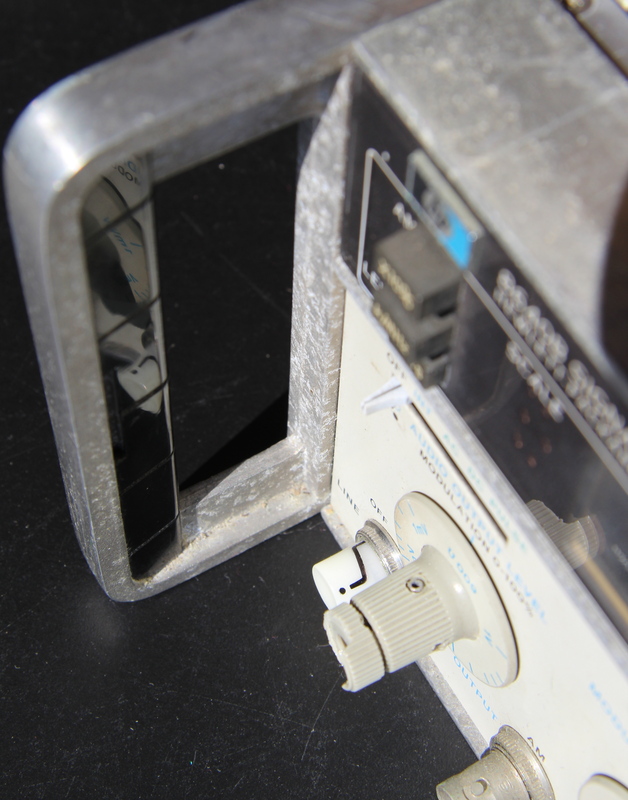 Front panel and keypad were cleaned, and the yellowing of the plastic due to age and UV was reversed through the use of high concentration hydrogen peroxide. Dents, holes and cuts were fixed. The vinyl was cleaned, restored and treated. Internals of the disk drive were cleaned. Documenting this is worth a separate post. The company I have been working for for a couple of months has an OpenVPN server running. Recently I wanted to install the client software on my Windows 7 desktop and my Linux laptop. Our IT guy kindly supplied me with a executable to install and configure the client under Windows and a config file and certificates for Linux. Windows 7 worked immediately but under Linux I had to do some extra steps to get it working properly. I’ll document them here for future reference and maybe other people running in to the same issues. but I ran into dependency problems. Some error messages came up regarding the LZO package. I found this page by Droidzone describing the dependencies and some useful information on how to find missing dependencies during future installs. Worth a read. I’ve been working on my wireless tally system for a while now. Apart from the connection to the camera (for which I want to use a different connector to alter the appearance of the camera as little as possible) it is finally finished. Looking back, this has taken me much more time than I expected. But as this was the first project that I wanted to do in a more professional way instead of just throwing something together that shouldn’t necessarily be a bad sign. I’ve tried to keep revisions of the schematics, board design and code, as well as a clear BOM that can be used as a guideline in the future, should the need arise. But first some background as to what the idea behind this project was. When using different cameras to record any live set (be it show, television, concerts,..) it is important for a cameraman to know when his camera is selected and recorded or shown on screen. He then knows to keep his framing, or do whatever he is supposed to do during the shot. While most systems use an intercom to let the director talk to the crew, it’s not really a good option to have him cue every shot to the camera crew. Also, there might be a talent on stage that needs to know what camera to look into during a presentation. Enter a tally system. That red light on top of television cameras? That’s a tally. Depending on the configuration it might be a red light in front of the camera, at the back, in the viewfinder or any combination of those. The signal comes from the mixing console and is usually relayed to the cameras by a dedicated connection in a multicable or embedded in a muxed signal on a triax cable. But what if you can’t or don’t want to use an expensive triax or heavy multi cable? 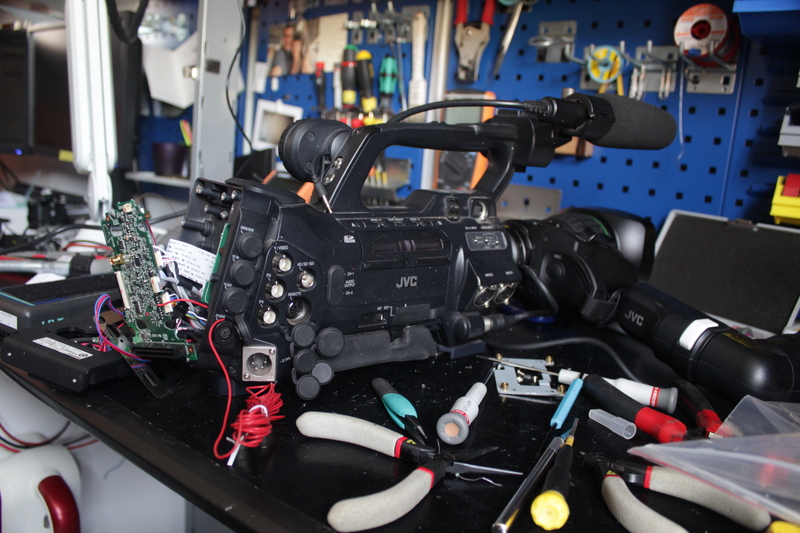 Imagine running the cameras on battery power, sending the video signal wireless, or just prefer to have only one cable running to the camera for the video signal? On smaller shows, this is often a trade-off: more mobility for the camera people, faster installation, less cables and cheaper (non-studio) cameras can be used. Adaptable in the future for different cameras or mixing desks. As I have no proper background in RF design I opted to use available modules and early on decided to use Xbee modules from Digi. The Zigbee protocol is used and the modules are running in transparent mode. 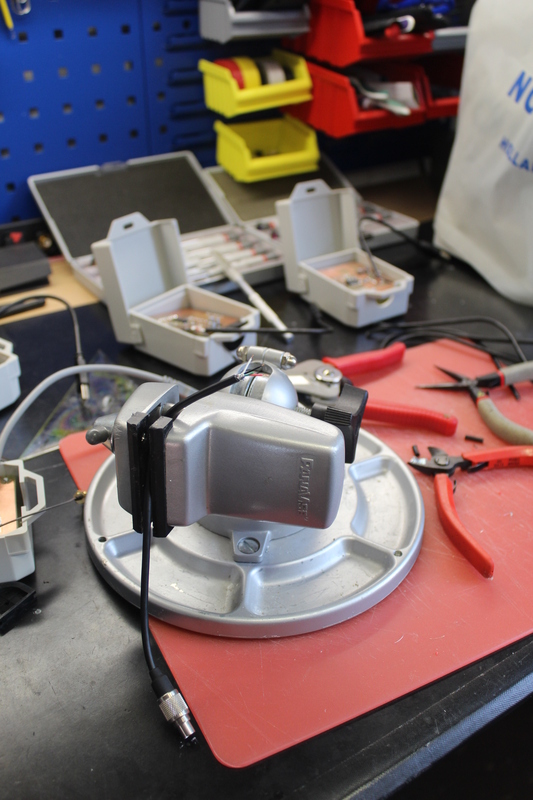 This has the advantage that the modules themselves take care of the routing and relaying of data, even if one of the modules/camera would be out of reach of the base station. I decided to use the same microprocessor for both the senders and the receivers. After thinking about possible future additions I ended up picking the PIC16F721. While this chip has more options than strictly needed, I prefer to know a couple of micro controllers pretty well and use those. It has two 8 bit timers, one 16 bit timer, an ADC, SPI, I²C and UART modules as well as an internal oscillator and can operate with a supply between 1.8 Volts and 5.5 Volts. Pretty versatile. After drawing a schematic in Eagle I started with the board design. To keep things somewhat compact I choose to use all SMD components, apart from the Xbee modules. SOIC chips and 0805 components are really not that hard to solder, as long as one has access to a decent soldering station, good lighting and some kind of visual magnification (good loupe, stereoscope,…). Instead of using batteries and having to design a charging circuit as well I wanted to make the system modular. As more and more wireless transmitters for video signals are using regular USB for power, I opted to do the same. Mated with a portable USB charger such as these ones, one has plenty of power available for the tally, transmitters and other possible additions on the camera. When not in use these can be used for plenty of other purposes as well. The first revisions had a micro USB connector, but after a while we decided to go for a bit more robustness and just wire a USB cable to the board. 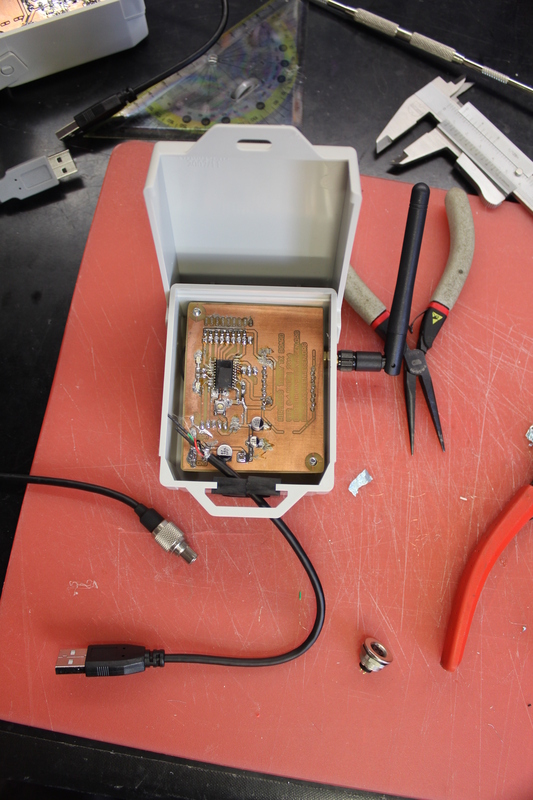 The footprint for the connector was kept on the board, so if the need ever arises it will be easy to solder it in. I also needed a way to interface with the camera. The user manual has the pin-out for the studio connector. The tally input is on pin 2. When pulled to ground this enables the tally lights. After some help on the EEVblog forum I got the datasheet for the connector (site in Korean) used by JVC. After searching for a vendor for these connectors as well as contacting JVC they turned out to be almost impossible to order in reasonable quantities. 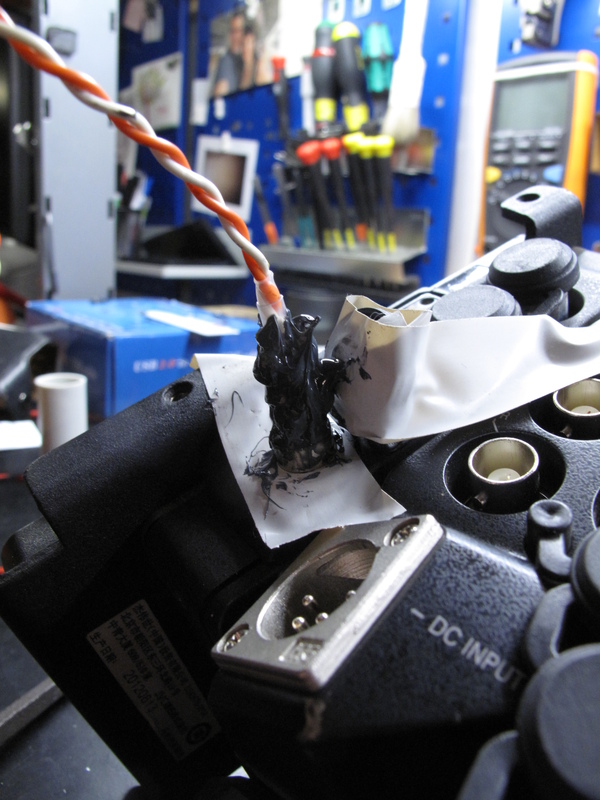 I first started trying to mould my own connectors based on the data from the data sheet and the connector in the camera. In the end this turned out to be beyond my capabilities :). The self-made connector was always too brittle, had too much friction, didn’t provide a reliable contact, … It was also a hideous contraption. 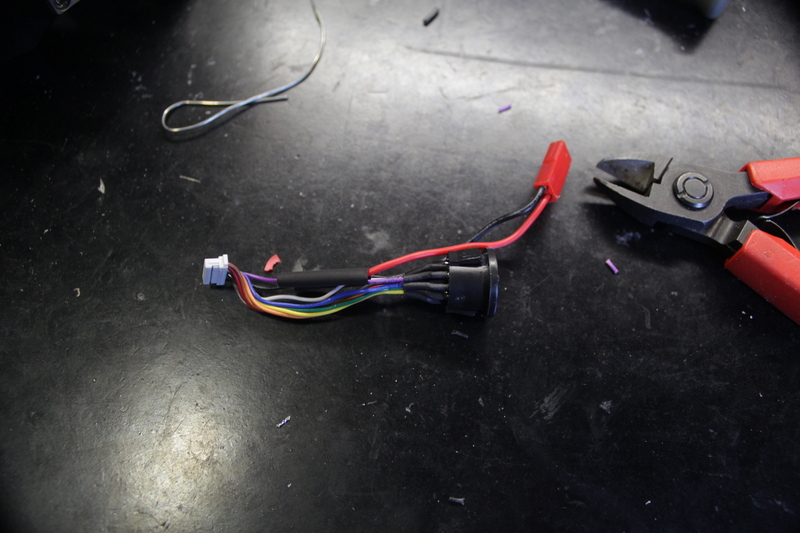 I ended up opening up the camera and adding a small breakout cable to try the system first. 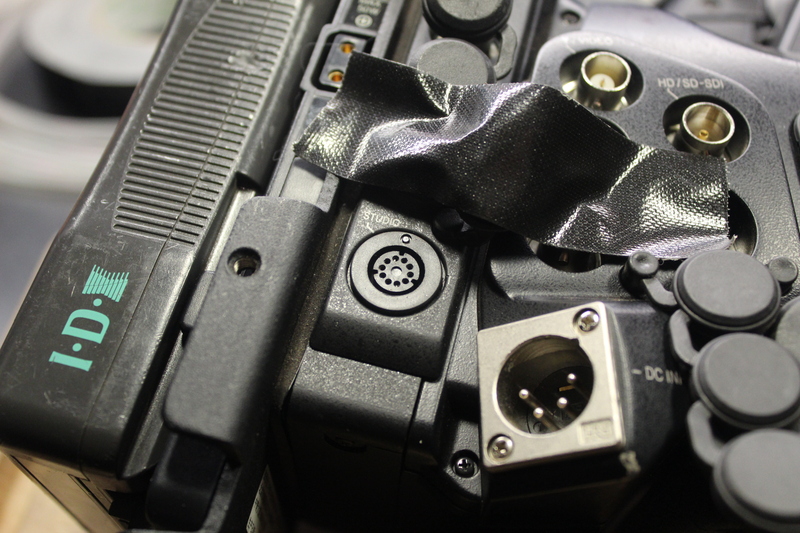 Now that the system has been tested and proven to work reliably in the field, I’ve ordered these connectors from Binder to replace the connector in the camera. They should be a nice fit, are sturdy and can be locked when mated. This way I can also make my own mating cables. Time to assemble the units. I chose these enclosures as they are rugged enough, easy to open and fit the boards nicely (after some modifications on the board layout). While assembling I realised I had forgotten to buy the correct spacers. 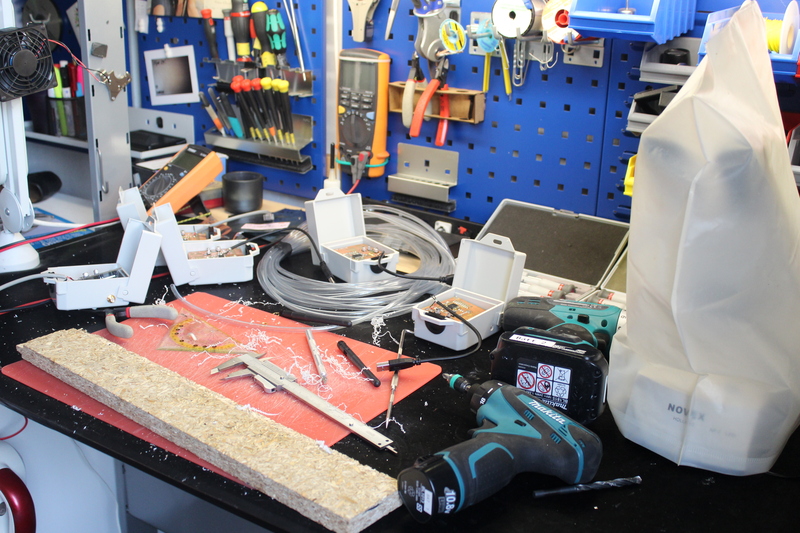 I ended up cutting some small plastic tubing (such as used for aquarium pumps) to length and sliding it over the bolts. Works just as good. If anyone is interested I’ll put the BOM, schematics and board files as well as the hex files for the microprocessor up for download. If I succeeded in documenting things the way I think they should, (most) things should be self-explanatory. 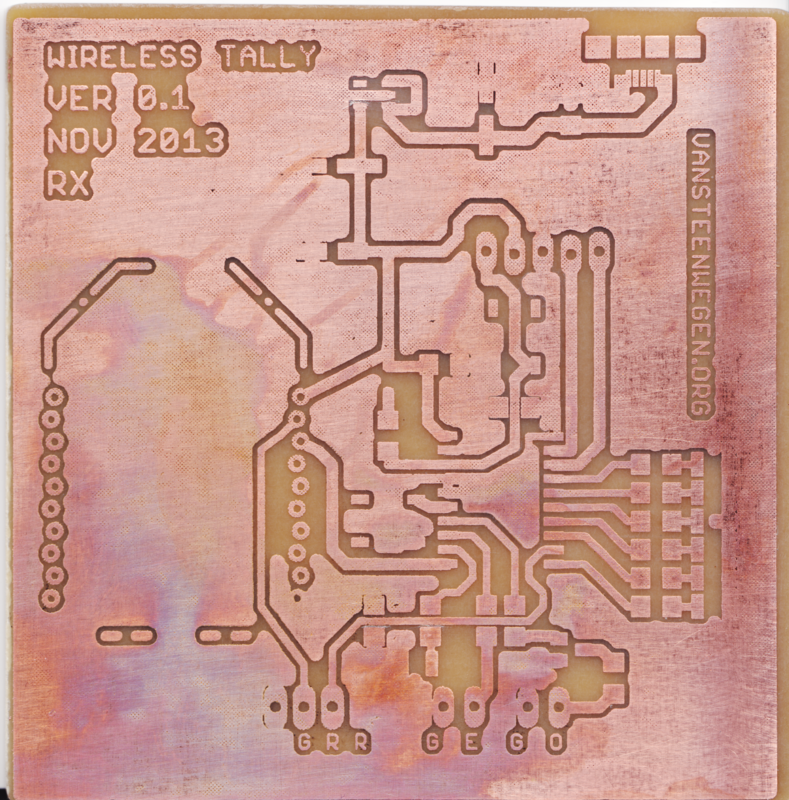 After lots of troubleshooting my wireless tally project/product is nearly finished. The prototypes have been tested in the field and proven to work as expected. 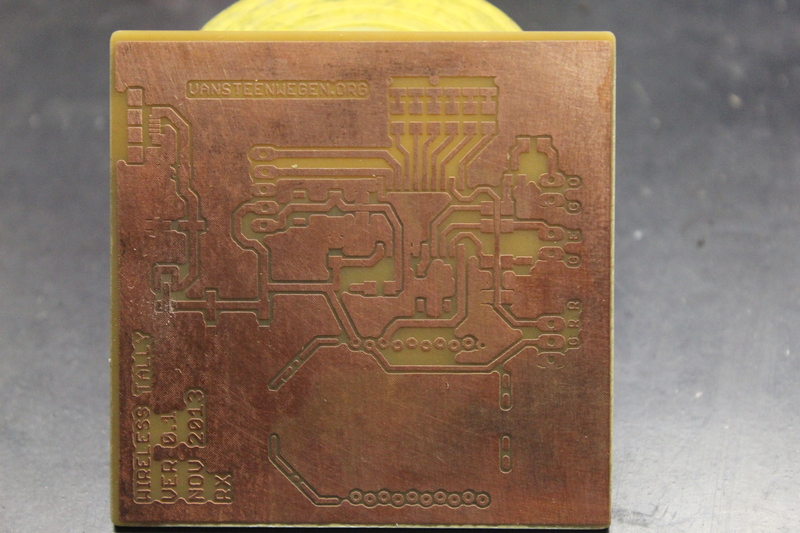 Next up are the finishing touches: etching the boards with the final adjustments, populating them, programming the microcontrollers and fitting everything in the enclosures. 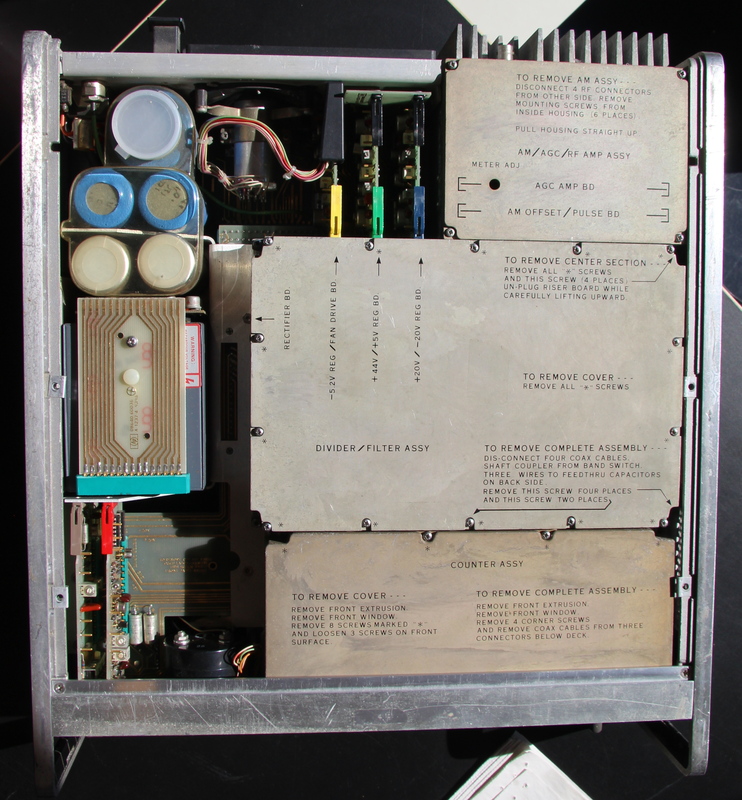 An early version of the transmitter board. As a size reference: the top left pads are for a micro usb connector. This is the connector through which the tally on/off signal had to go. 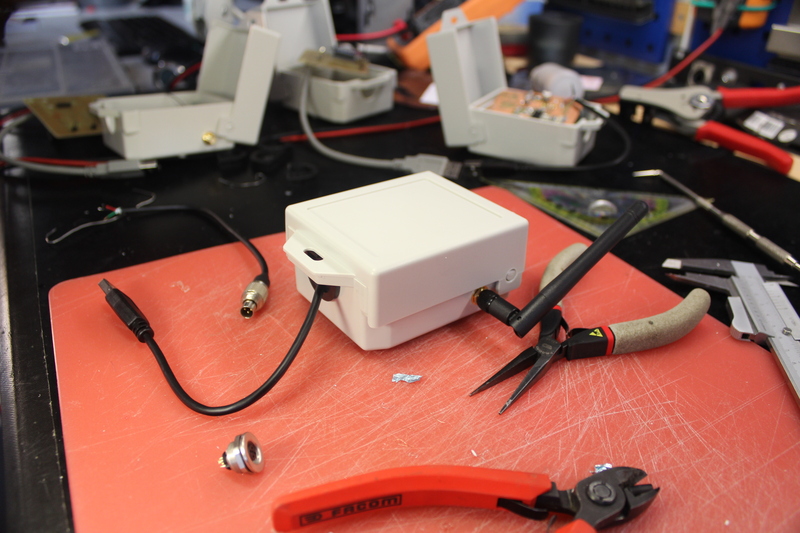 Unfortunately I couldn’t get hold of the proprietary connector (for a reasonable price) so I had to make my own connector, at least for the tests. Halfway casting a test connector. 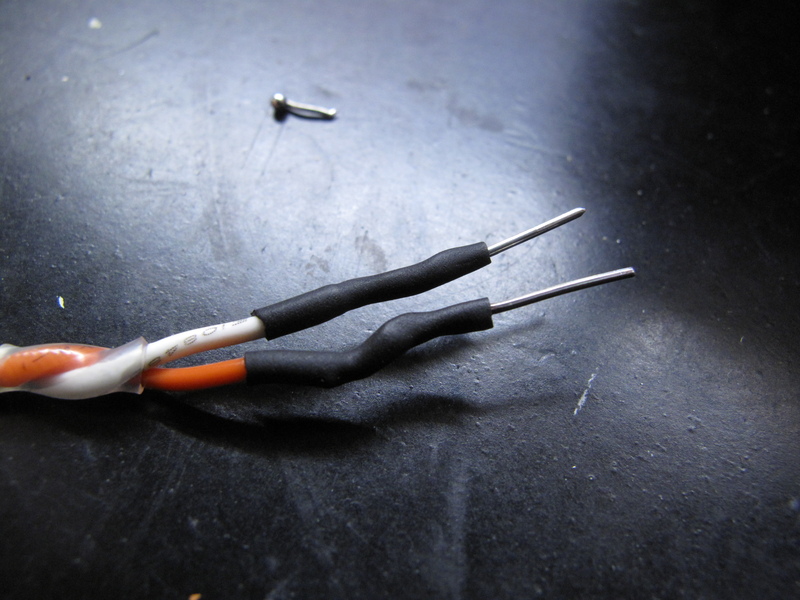 In the end I ended up making a breakout cable for the studio connector.